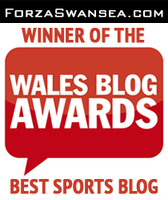 Forza Swansea | A Swansea City Blog: Life in the Championship: Where Will We Finish Next Season? Life in the Championship: Where Will We Finish Next Season? Life in the Championship is never easy but the Swans have earned promotion from it before and are heavily backed with the bookies to do it again. Most bookmakers are predicting the club will bounce straight back to the top flight and are the current favourites to end up in top spot. You can back the club to win the title at 15/2, while the club’s promotion odds lie at 3/1. That’s level with the Premier League’s two other casualties Stoke and West Brom, while Aston Villa are also hotly tipped following their Play Off Final defeat. If the Swans are going to bounce straight back they’re going to get organised, and that starts with a new manager. The club will be expected to lose a number of players over the summer, so finding replacements will be key. Middlesbrough and Frank Lampard’s Derby are also favoured to mount a challenge according to the bookies, the latter a 16/1 shot to take top spot. At the other end of the table, Ipswich are the favourites for relegation, following a tough season. The side have just appointed Paul Hurst as their new boss for the 2018/19 campaign, after he failed to achieve promotion with Shrewsbury last season. QPR and Millwall are also among the favourites for the drop, alongside Reading, Nottingham Forest and Preston North End. It’s going to be a tough season for the Swans. If they can keep the nucleus of the squad, promotion is surely the only position acceptable. That’s a lot of pressure on the new man. Can we do it? I suspect we are only spending one season in the championship. But we won't be returning to the prem. Need to get new manager in situ a.s.a.p. so we can strengthen squad.